On the First day of Rabi-al-Awwal, which is the month of Milad-un-Nabi (sa) I am posting this tugra which contains the last Ayat from Sura-al-Fateh. 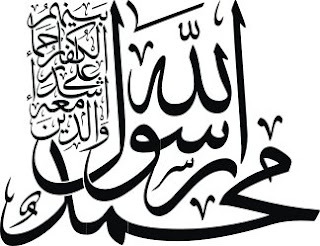 In the above image "Allaho Akbar" is written 10 times. 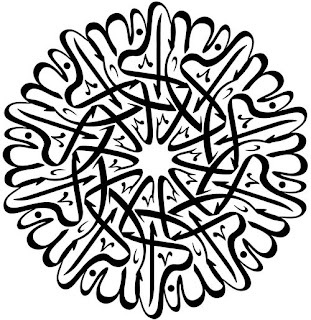 The words are rotated to achieve the flower like shape. This feature of rotating the letters and making patterns out of them sets the Arabic Calligraphy apart from all writing systems. 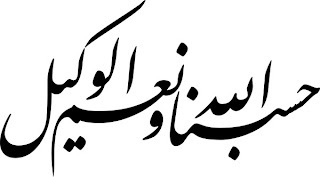 The "Nastaleeq" Script is one of the most beautiful form of Arabic Calligraphy. As it is apparent from the image above, the cursive nature of "Nastaleeq", and the balance between thick and thin strokes create a marvelous visual experience for the viewer. 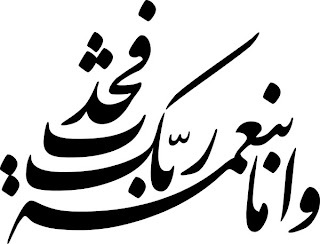 The bottom to top flow of writing is one of the widely used in "Nastaleeq". 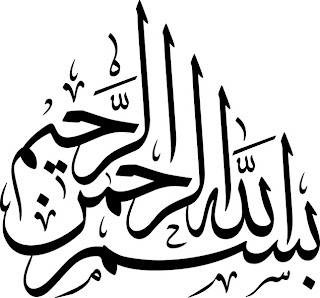 The image above contains "BISMILLAH", written in Sulus Script. There are 3 "Alif" and 2 "Lam" which create a vertical symmetry. 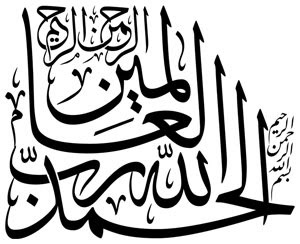 The elongated "Seen" in "Bism" compliments the vertical symmetry of "Alif" and "Lam". 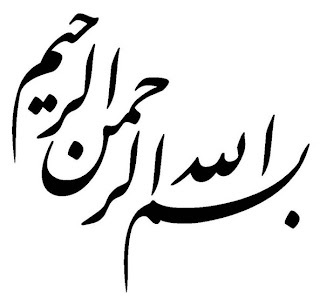 The "Meem" of "ar-Raheem" gives the composition a balance. The over-all pyramid like shape is achieved by placing "Eraab" above "ar-Raheem".